We all know this feeling: toys under the bed, on the ground, in the dog basket ... 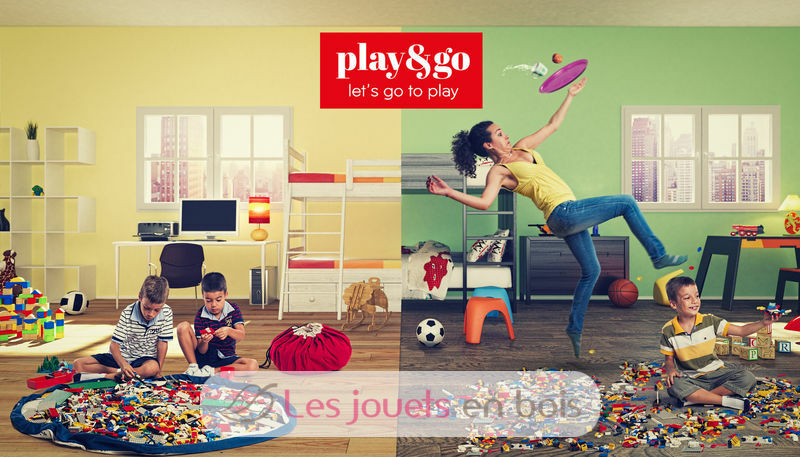 The Play & Go bag is a simple and effective solution for storing toys, and it's a lot of fun. 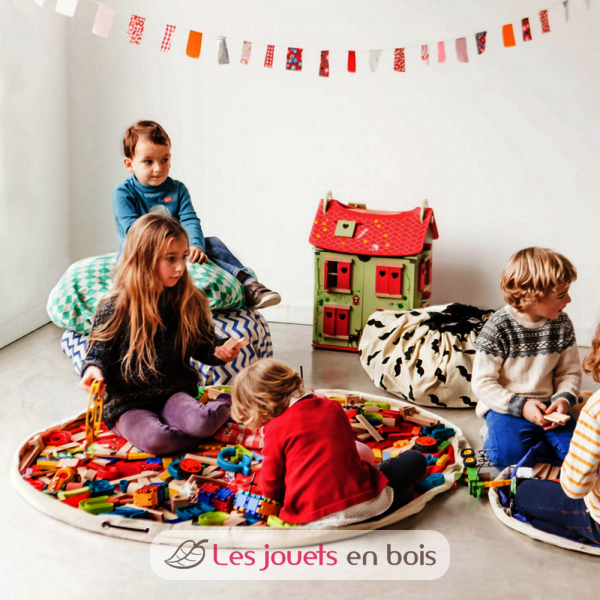 A 2 in 1 toy storage bag that plays the role of play mat is the dream of every child. Cubes, small cars, figurines or dolls are quickly arranged. 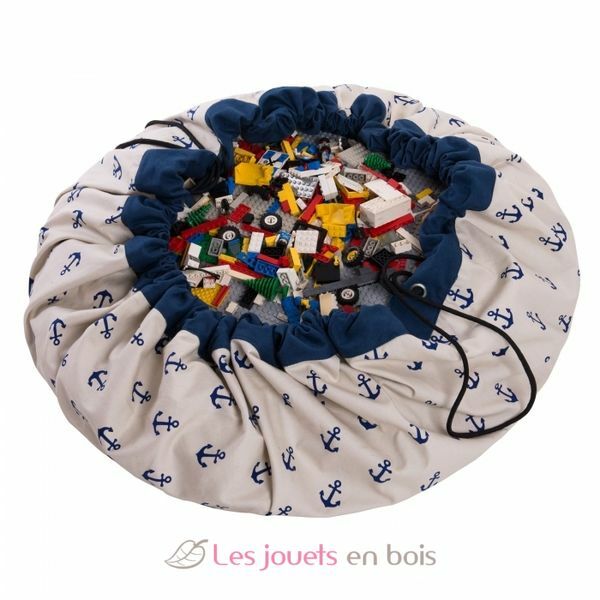 The Play & Go storage bag measures 140 cm in diameter and is made from cotton fabrics. 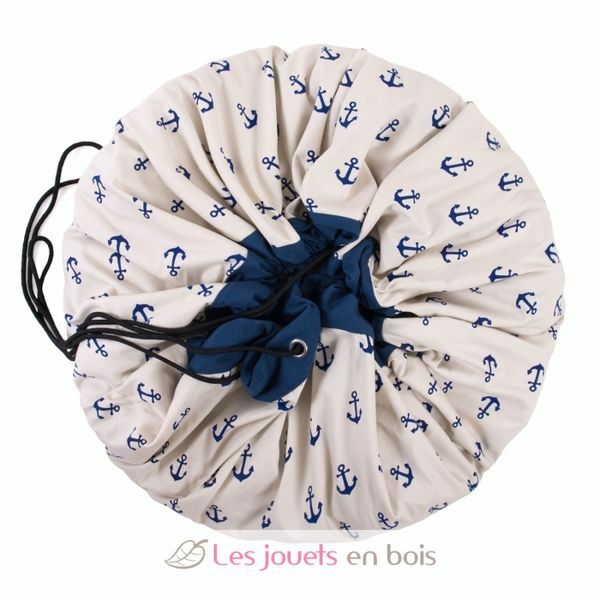 Its portable, durable design also makes it the perfect storage bag for the beach, park, holidays or trips to visit grandparents. machine washable 30 ° C.